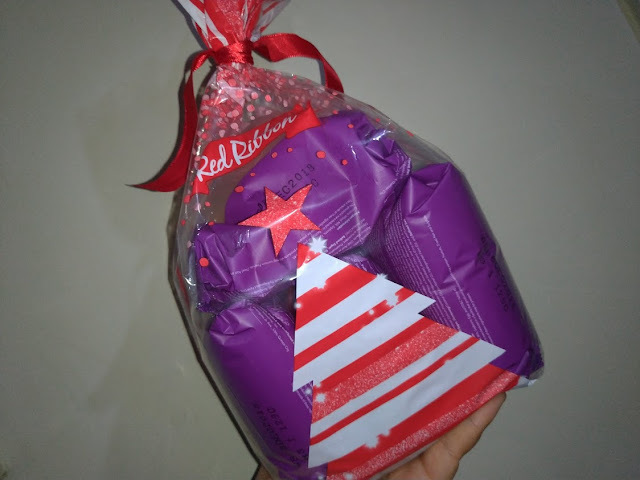 Red Ribbon has been famous for it's Chocolate Mousse cake and Black Forest. Now, they are about to become known for their Ube creations that have swept my family and I off our feet. This is the Ube Bloom and I am telling you, it is really good. This is how good it is okay? My sister and son would normally have a slice of cake. 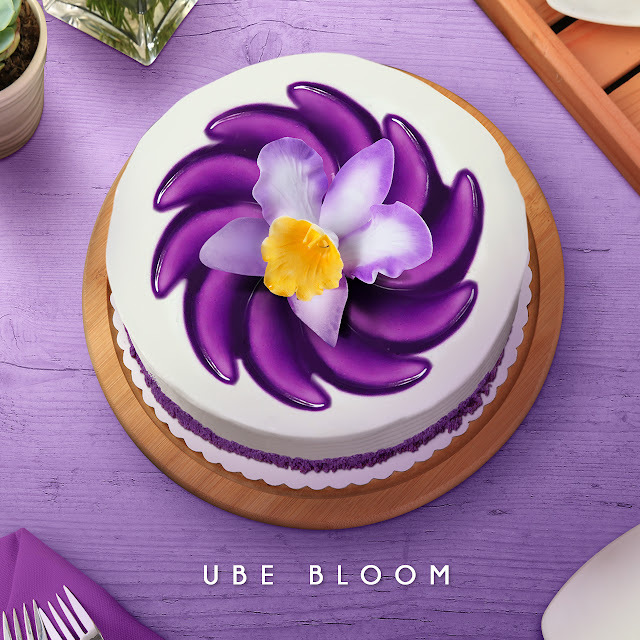 With the Ube Bloom, they need to have at least 2 slices each. It is THAT good. TWO SLICES each. As you can see, I prepared this slice for B. 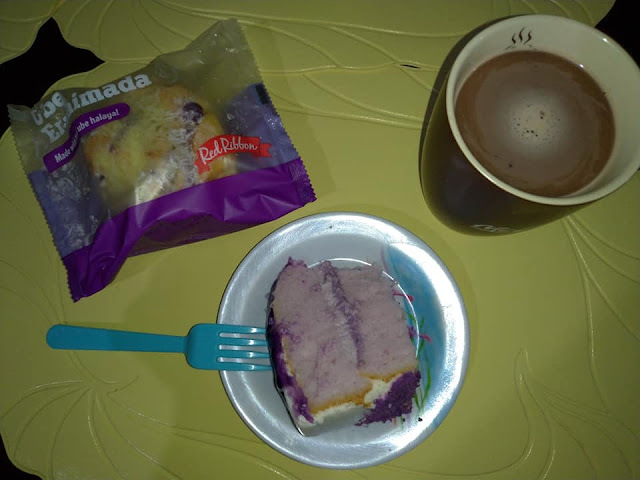 He ended up eating my slice of the cake and then he brought to school the Ube Ensaimada even though I already got him two classic ensaimada as well. To say that it's a huge hit with my child would be an understatement. One of the favorite merienda snacks is the ensaimada – sweet buns coated with butter and sprinkled with sugar and grated cheese. Among different variants of this classic treat, the Red Ribbon Cheesy Ensaimada is definitely a favorite enjoyed anywhere, from homes and schools to work places, best paired with beverages like coffee or hot chocolate. 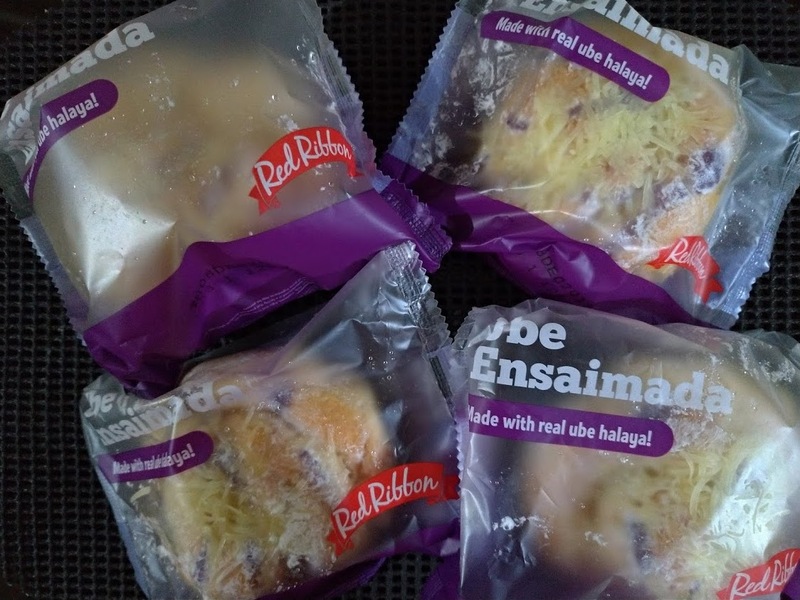 Now, Red Ribbon adds an extra Pinoy flavor to the classic merienda with the new Ube Ensaimada. A fusion of two Filipino favorites, the delightful variant uses the much-loved Ube or purple yam as a wonderful filling to the soft and yummy pastry. With real Ube Halaya tucked in its golden-brown coil and drizzled around the bun, the Red Ribbon Ube Ensaimada is then topped off with a coating of creamy whipped butter, a generous layer of grated cheese, and a sprinkling of sugar. Enjoy an elevated cake experience with the Ube Bloom for P550 and the Ube Ensaimada for only P39 or bring home a 4-piece pack for only P150, available in all Red Ribbon branches nationwide.